Sales enablement has become a core part of most SaaS businesses. It is a crucial link between sales, marketing, and potential (or current) clients, providing the sales team with the tools, information and materials to do their job more effectively: i.e. sell more. Sales enablement is still a relatively new area and as such can have a wide definition. However, it almost always encompasses the work that goes into creating content to support the sales team, from pitch decks to white papers. In this blog we’ll look at types of content used in sales enablement and, crucially, why this is different to marketing content. Aren’t marketing content and sales enablement content basically the same thing? Companies often conflate marketing content and sales enablement content but these are different things with, crucially, different aims. Put simply, the difference is that of attracting and convincing. The main aim behind marketing content is to raise awareness of a product and pull potential customers in. The main aim of sales enablement content is to then persuade those potential customers of the value of purchasing your particular solution. As you can see, the initial stages where the buyer is beginning to address their problem is an area for marketing to focus on. You need to make the buyer aware of your solution and start to explain it to them. 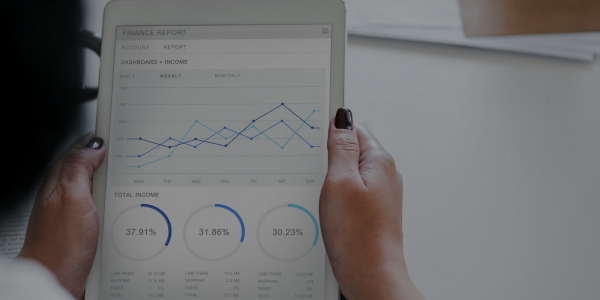 Once a buyer starts to feel ready to learn more and ultimately take a purchasing decision, it is time for sales enablement to step in. 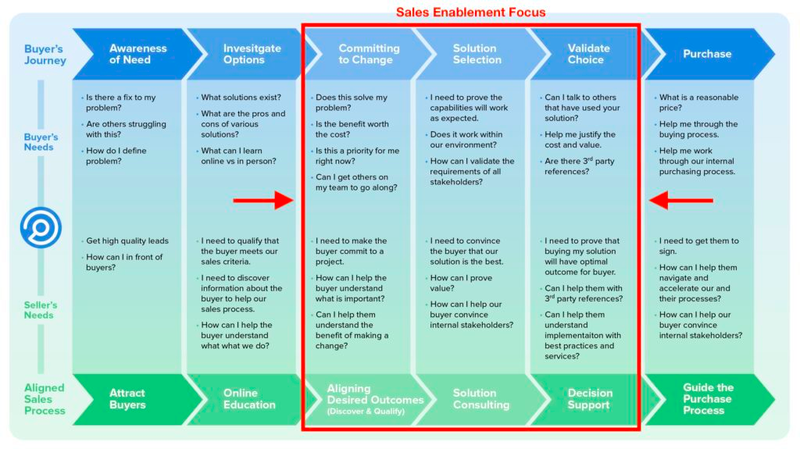 So what sort of content should a sales enablement team be creating? Building on the idea that sales enablement content is designed to help move people along from the middle towards the bottom of the funnel, it follows that each piece of content should focus on one key area of that journey. Unlike with marketing content, this is not ‘catch-all’ type media which needs to appeal to a broad audience. The sales team should already have a good idea of the buyer’s needs and potential usage cases for the product. As such, the content should be correspondingly targeted to each buyer and their specific needs to help them with their decision making. Social-proof is a powerful weapon in the sales armoury. But potential customers will want to see more than the initial headline grabbing logos of clients on your homepage. 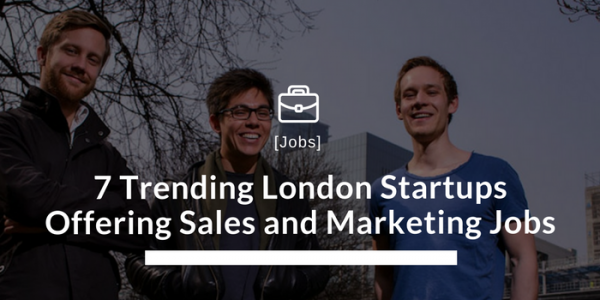 They’ll be interested to know how companies like them use your products and, most importantly, what benefits and successes they have seen as a result. This is a chance not just to demonstrate real-life value, it is an opportunity to inject some FOMO into proceedings. Is the buyer’s competitor using the product? What are they missing out on? Sales enablement teams will work with account managers and customer success teams to identify companies using their product with great results and approach them to feature in case studies. Of course, once a lead is sufficiently warm, the sales person will need to provide a more detailed explainer of the product and specifically how it can help solve the customer’s pain points. While most SaaS companies will have a generic demo deck to demonstrate their product, this needs to be tweaked and adjusted for each potential customer to ensure they understand how they will get the most out of it. This is another key role for sales enablement. Moreover, as the product develops, decks will need to be constantly updated to reflect new features and improvements. Perhaps even more powerful than a deck, video is increasingly used by SaaS companies as a core part of the sales process. Vidyard has built an incredibly successful business around providing a video platform specifically for B2B sales purposes, because video is such an effective sales content tool. Sales enablement teams don’t even need to be video editing experts. There are such a wide range of options to easily and quickly create video online, like Content Samurai, that content teams can create personalised videos for each customer if necessary, demonstrating the exact features that will interest the buyer and enabling to share the information within their organisation. Having content is all well and good. But unless it is being used the right way, the sales enablement team might as well be sat twiddling their thumbs. And unlike marketing content, which is likely to sit either on your website or perhaps social channels, sales enablement content will be used in variety of ways: in person, over email, through screen shares…the list goes on. This range of scenarios means that it is crucial the sales team and the sales enablement team work closely together. It has been reported that 87% of the terms sales and marketing teams use to describe each other are negative, so this is a trap sales enablement must avoid at all cost. The best way to avoid such animosity is regular feedback loops for all teams to ensure that everyone is on the same page and working towards common goals. A weekly meeting with sales, sales enablement, and marketing can allow everyone to outline priorities, upcoming projects, requirements, new content, tweaked content, and anything else that might be helpful for other departments. It also provides an opportunity to assess the previous week’s performance, flag any issues that were thrown up, and improve processes. Sales enablement is such a crucial part of the SaaS sales playbook that it can no longer be fudged as something between marketing and sales. It is its own standalone function. For SaaS companies without one, hiring a dedicated sales enablement employee is a great first step to improving the quality and effectiveness of your revenue generation. And for SaaS companies which already have dedicated sales enablement, ensure they understand just how valuable they are to the business and its growth. Kandidate is a specialist jobs platform and recruiter for commercial roles in high-growth, funded SaaS and tech businesses. 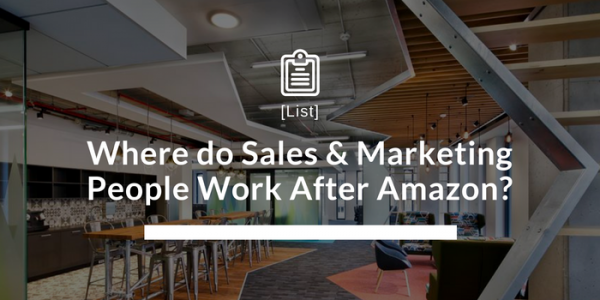 Where Do Sales & Marketing People Work After Amazon? 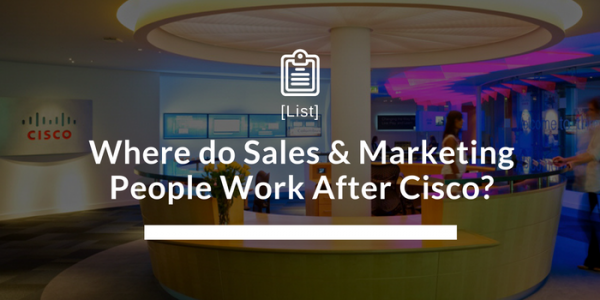 Where Do Sales & Marketing People Work After Cisco?